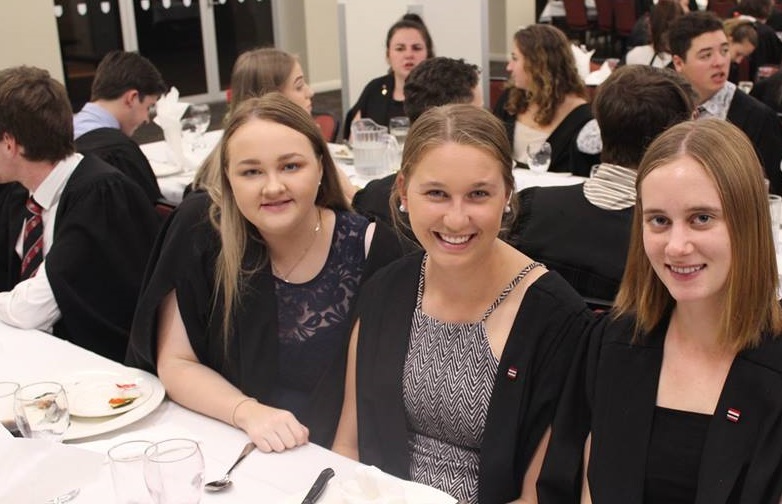 The second half of the academic year was launched formally on Sunday 5th August with the traditional whole-of-college Mass, Dinner and Academic Awards. Student Club President, Eliza Smith welcomed everyone the College Chapel for the Mass which was celebrated by Father Paul Cashen MSC. Later in evening, Eliza made a formal address. She spoke positively of how the College had entered into all aspects of the life of Aquinas in the first semester. Then, drawing on her experience and learnings at the recent NAAUC Conference, offered some challenges for the second half of the year. During the dinner, with a delightful menu prepared by the College catering team under the leadership of Mark Klein, those students who had excelled in their first semester studies were honoured. Dr Sarah Moller, gave a summary of the results and read the names of students who had attained Distinctions and High Distinctions. There were many and they were warmly, even enthusiastically, congratulated by everyone. The Rector gave an address on which he opened up the metaphor of ‘family’ as both a description and a challenge for the College. For the full address refer to “From the Rector”.